A Real Stage Laser Speaker. Music rhythm reactive, 1000+ laser lighting effects, 5w stereo speaker, 6000mAh battery, 10 hours playtime. Pocket size plus a flexible tripod, have fun anytime & anywhere. Halona Portable Sound Reactive RGB Stage Laser Light With Bluetooth Speaker and 6000mA Built-in Battery. Ideal for Dancing, Xmas, DJ, Party, KTV, Bar, Club, Outdoor, Camping, etc. Music rhythm reactive. Laser lights reflect the rhythm of music. 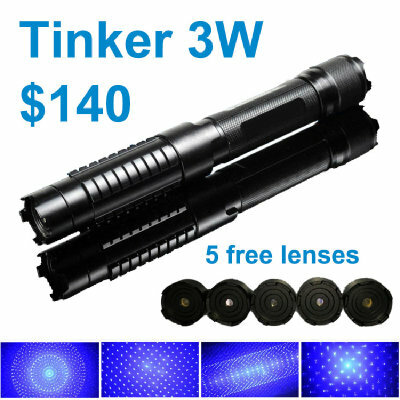 16-pattern laser lens. 1000+ laser lighting effect combinations. Bluetooth 4.1 speaker. 5 watt, powerful stereo sound, deep bass. Best RGB laser diodes. Leading vendors, 100,000+ hours lifetime. High capacity battery. 6000mAh, rechargeable, 10 hours playtime. Compact portable body. Pocket size, have fun anytime & anywhere. Multi-Operation modes. Music reactive; speaker only; laser only. Free flexible tripods. Put/mount it here, there, and everywhere. Remarkable durability. Encased in aircraft grade aluminum shell. Share this laser speaker on Facebook or Google Plus before buying, you get a Free Bendable Flexible Mini Tripod. Any ideas or questions? Discuss, ask, and answer here publicly. The Q&A will benefit all visitors, and in return every laser fan can help, not only burninglaserpointer.com agents. If you want to keep your questions private, use the live chat or email.